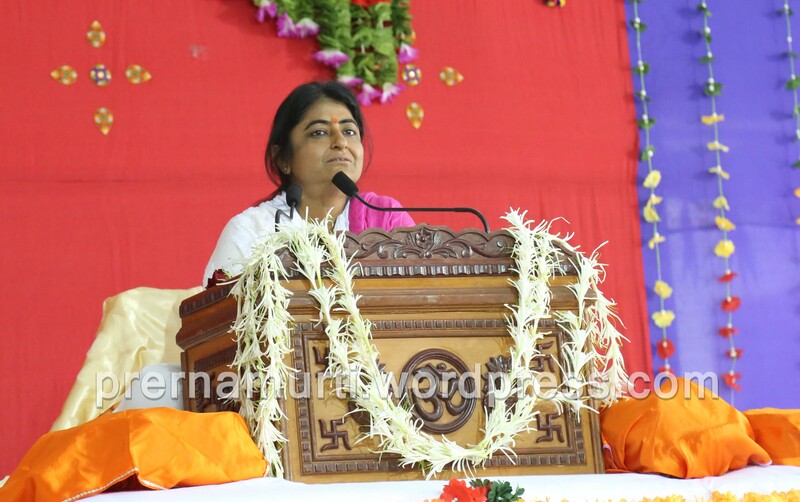 Prernamurti Bharti Shriji through her divine knowledge on the eve of Gurupoonam explained the virtue of nama jap, the importance of bhagvan naam japa and how to uplift life in the guidence of Sadguru. No one can get uplifted and enhanced life without the grace of Sadguru. Also through the story of a tradesman , Shriji explained that Human life is precious it can be evaluated through bhagavan naam japa and satsanga. A short example on life of Bhakt Prahlad stated by Shriji, to make realise the truth of materialistic world, how to make good use of senses in this world?.